Bright and early on Monday morning, we drove to Malaga and caught our easyJet flight to London. We arrived on schedule in Gatwick and immediately took the train to town. 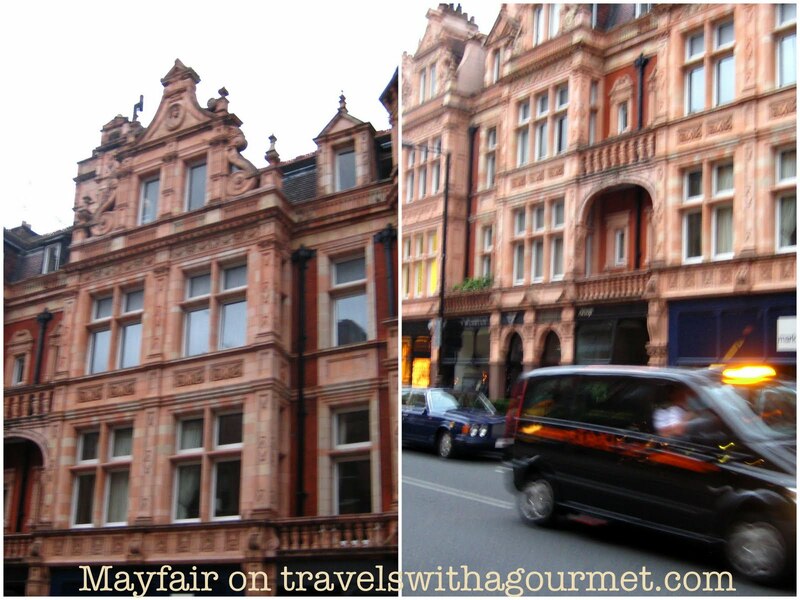 Our hotel, the recently renovated Grosvenor House, was on Park Lane in chi-chi Mayfair. Since we arrived before three p.m., our room wasn’t ready yet so we decided to leave our luggage and head off to Soho for a quick dim sum lunch at one of my favorites – Yauatcha. We were disappointed to find out that the restaurant’s kitchen was closed for renovation and only the tea shop was open. Luckily we were right in the middle of Soho, we decided to walk around and find another restaurant nearby and luckily, there was a Busaba just around the corner on busy Wardour street. After a truly delicious lunch (more on this restaurant later), we walked to Bar Italia, where we had the best espresso and cappuccino to end our meal. It started to drizzle and since we didn’t have an umbrella we headed back to the hotel. By the time we got back, our room was ready. 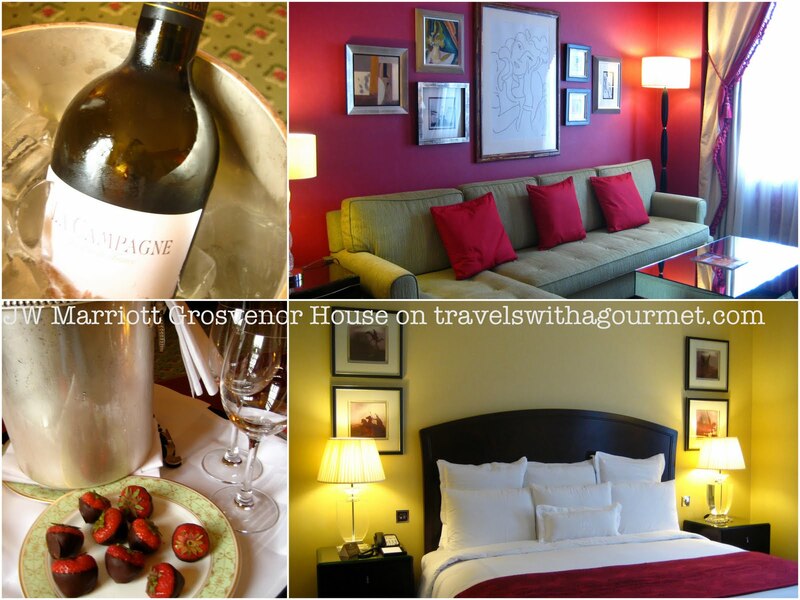 We were upgraded to a lovely suite with lounge access and on the table in the living room was a bottle of chilled Bordeaux and a plate of chocolate-covered strawberries. Who could ask for more than that? We spent the rest of the afternoon unpacking and resting before our dinner at Scott’s.